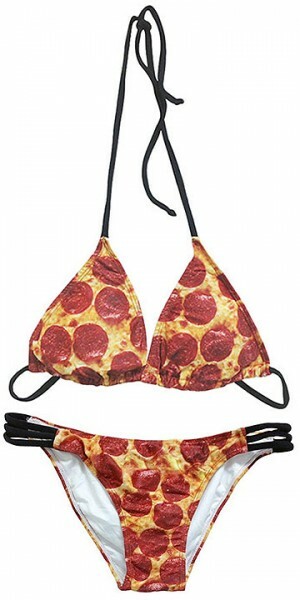 Great weather, long weekends, fun times, good food, cottages, lakes, beaches, pool parties, party food, swimwear, pizza, bikinis…the last two items leading of course to a…A PIZZA BIKINI! Screech…complete stop. WTF? 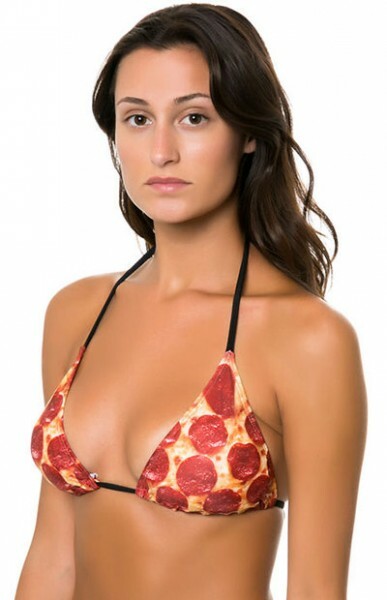 Yes, it’s real pizza bikini. Well, not digestible real, but photorealistic real. “Fun & quirky” design shop PYKNIK brings us their latest design, and it actually looks, hate to say it, delicious. Don’t suspect we’ll be putting this on ourselves anytime soon (unless for a wacky costume pool party which, by the way, would be an awesome idea). But playful as we are over here, we would definitely have a few people we’d consider buying this for. It seems the more you look at it, the more appealing it becomes, or maybe that’s just my stomach talking. 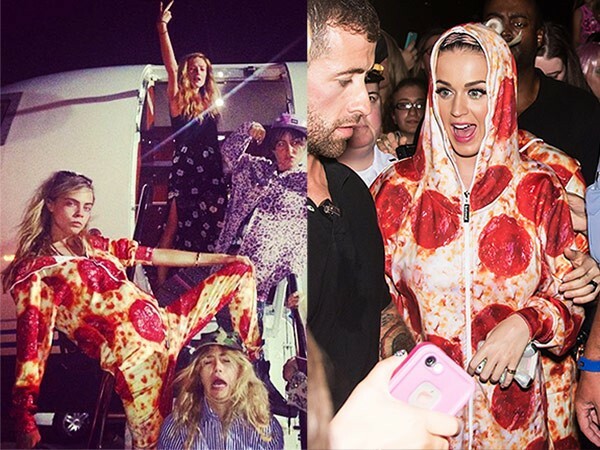 One good point raised by our team was that at least if you were eating real pizza and dropped some on yourself it wouldn’t really mess up your outfit. Uh, who wore it better? On second thought, nevermind. 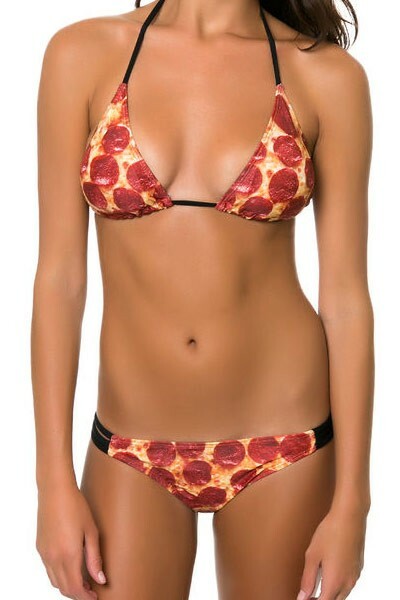 We’ll leave the pizza onesies alone and get back to the pizza bikini…which really is for sale here. For some truly beautiful swimsuits you will actually really admire, check our or 2015 summer swimwear review here!